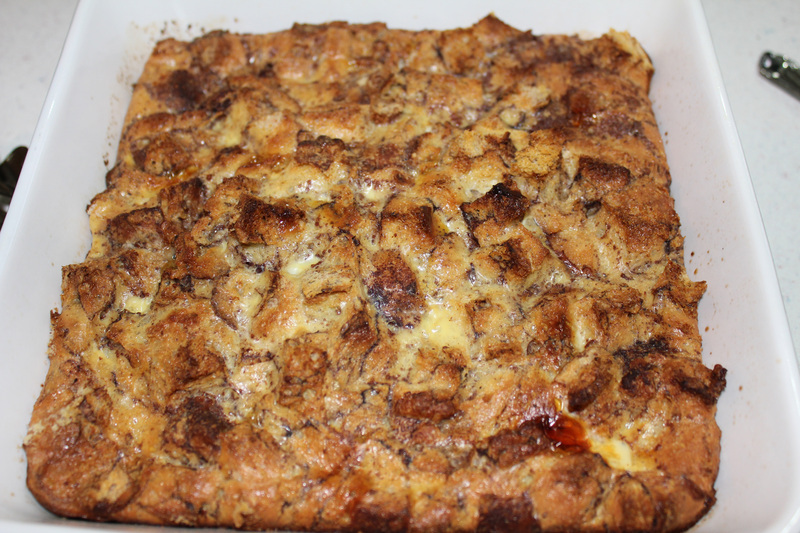 When I saw a recipe for Cinnamon Bread Pudding, I knew I had to try it. 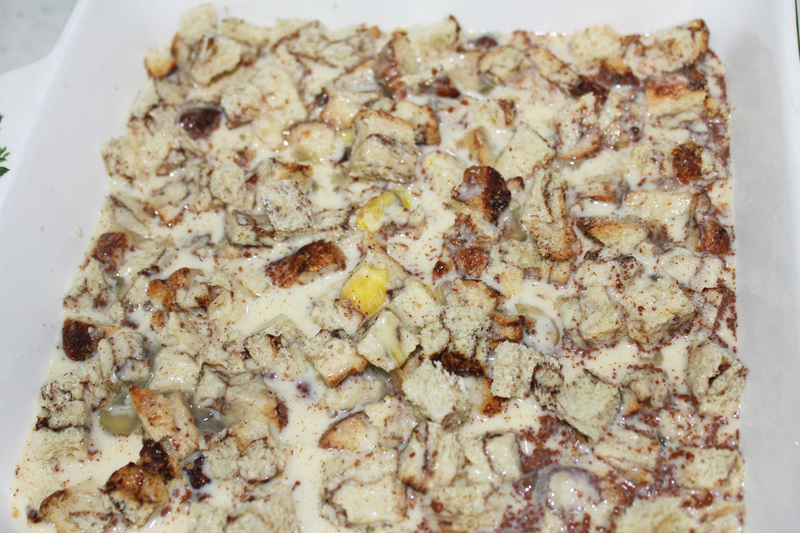 Captain Cavedweller is a big bread pudding fan and it sounded like the perfect thing to make for Christmas breakfast. It was fast and easy to assemble the night before and pop in the oven that morning. 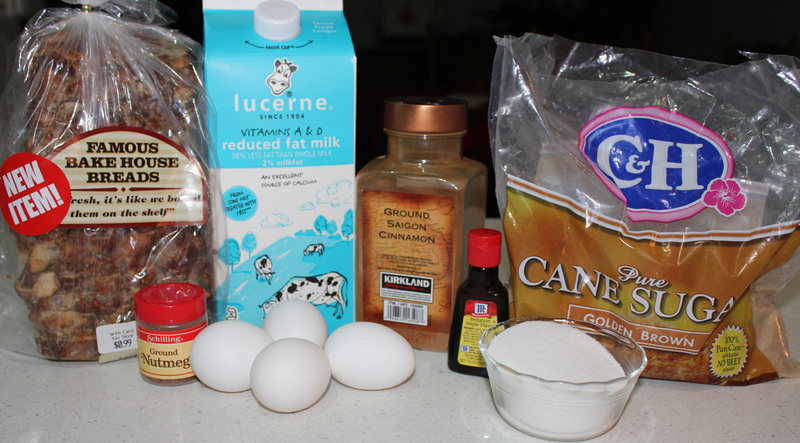 Mix egg, milk and spices until well blended. Make your husband cube the bread while you beat the egg mixture. Spread the cubes evenly into a greased baking pan. Pour the egg mixture over the top, cover and pop in the fridge overnight. 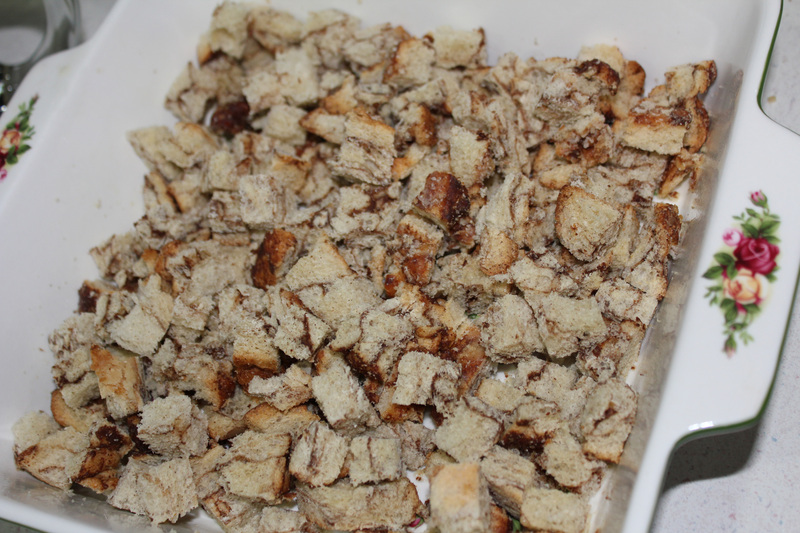 Heat oven to 350 and bake the bread pudding until golden brown – about 50 minutes. 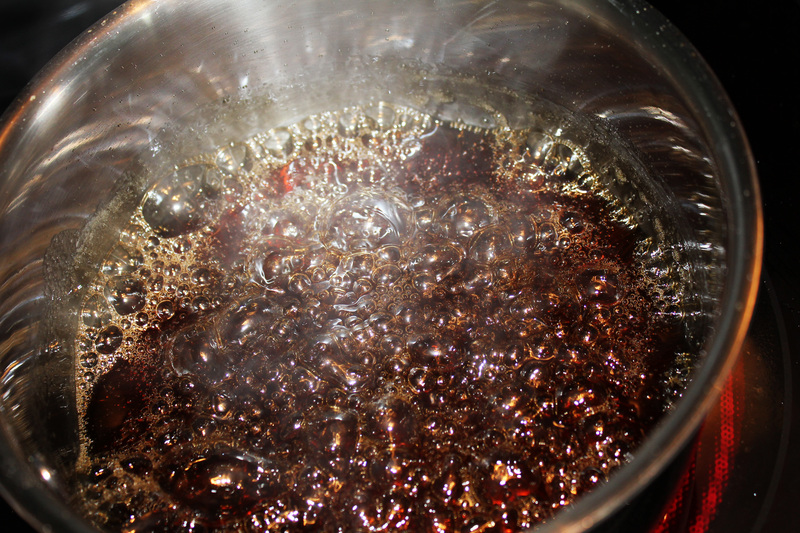 While the bread is baking, make the syrup – just sugar and water in a heavy saucepan. Stir until sugar is dissolved. 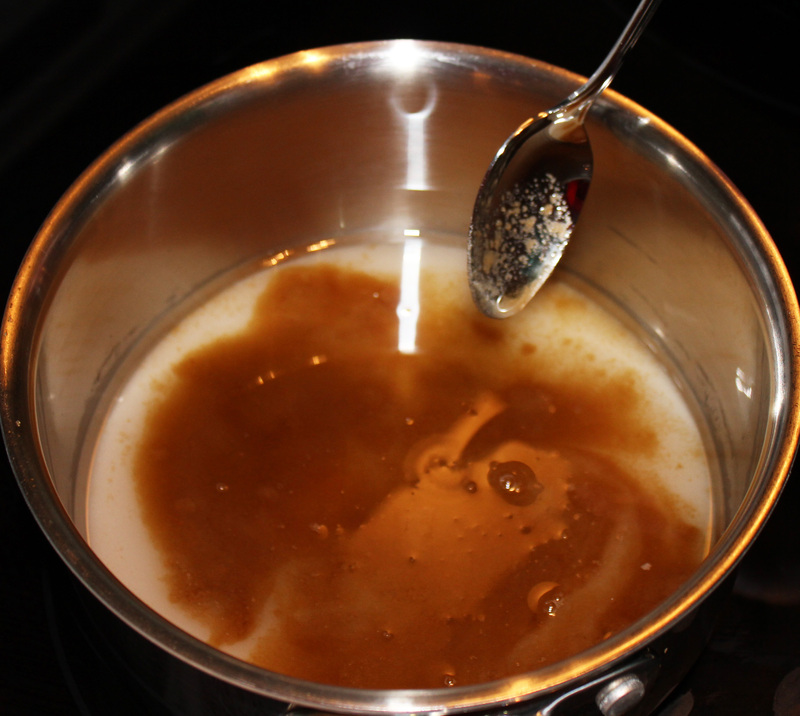 Continue stirring and bring to a boil, then add maple flavoring. Boil another minute before removing from heat. 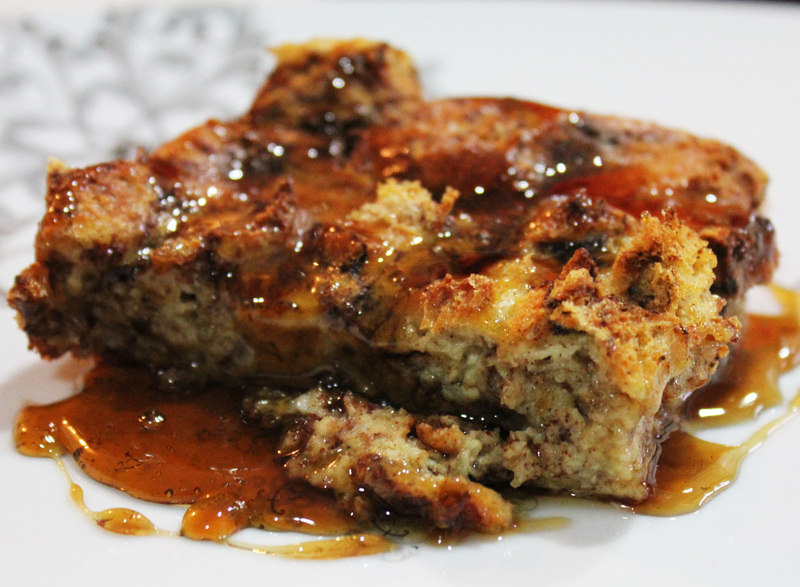 Cut baked bread pudding into slices and serve with warm syrup. It will make your knees wobbly and your stomach very happy. Grease an 8×8 inch baking dish (for a 9×13 dish, double the recipe). 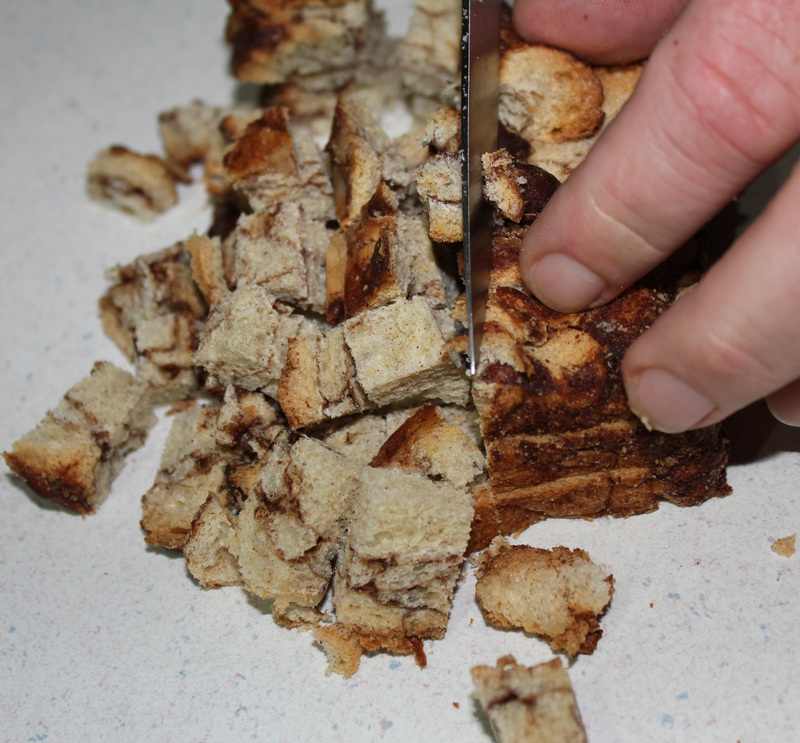 Cut about six slices of bread into cubes. 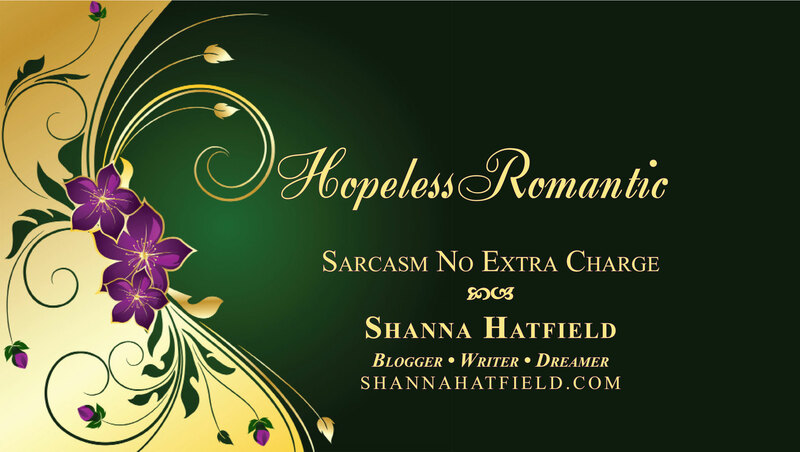 You need enough to fill three cups. Spread evenly in baking dish. 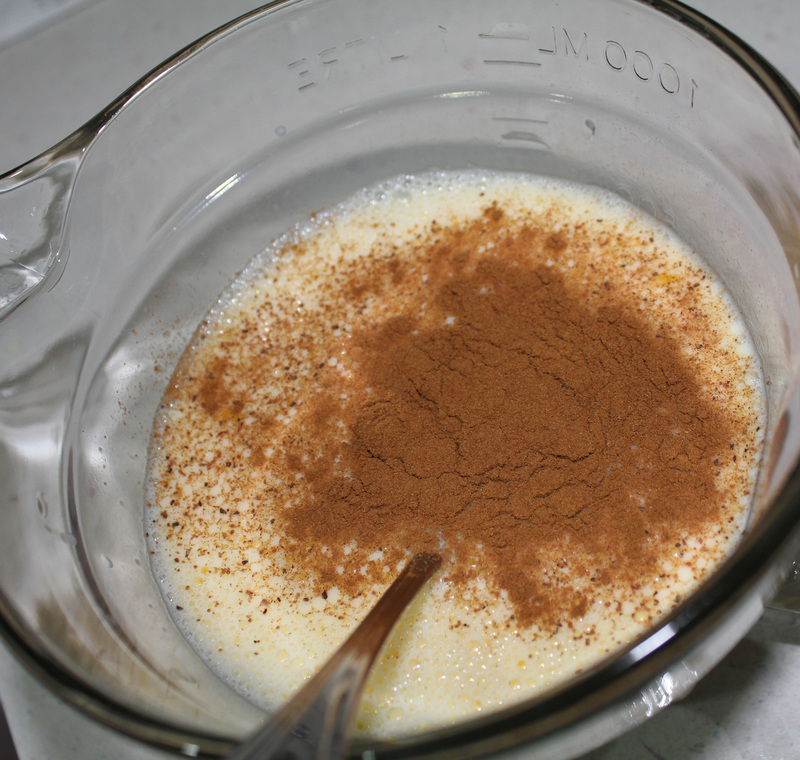 Beat eggs, milk, and spices until well blended. Pour over bead. Cover and refrigerate overnight. Uncover baking dish and bake about 50 minutes until the bread is set and the top is golden brown. Cut into squares and serve with warm syrup. To make the syrup, pour sugars and water into a heavy saucepan. Stir over medium heat until sugar is dissolved. Continue stirring until mixture comes to a boil. Add in maple flavoring and boil another minute. The aroma of the maple at this point will make your mouth water and cause great pangs of hunger to rocket through you. You can pour the syrup over the bread pudding in the pan if you will be eating it all then or if you want you can individual spoon over pudding on each plate. You can serve with a dollop of whipped cream or sprinkle the top with powdered sugar if so desired.